The new year meetings are not just about family. Enjoy a shady spot under the trees for ten or more people in your own private 3x3m marquee as part of our marquee village. The package includes a scrumptious picnic hamper lunch, race books and course admission for 10 guests. The marquees provide a warm and hospitable atmosphere and a great view trackside. All this for only $750 ($75 per person). 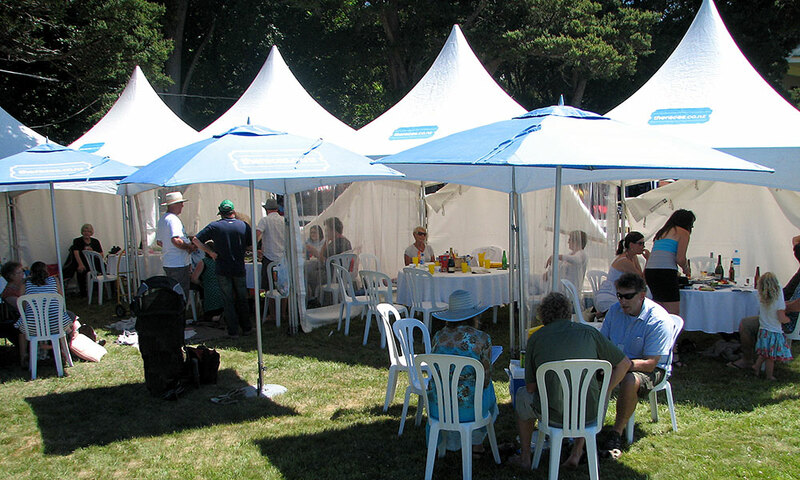 Multiple marquees can be purchased for larger groups. Complete the form on your computer and email it back to us at wairarapa.racing@xtra.co.nz. Once we receive your form we will secure your booking, as the marquee village is limited and highly sought after. Other options are available to suit your needs. Special fenced off areas are available for corporates or larger groups looking for 50, 100 or more people. Contact us for information on these special packages.